With the intended target reached it is all roads to Cusack Park, Ennis next Sunday, April 3rd as Tipperary travel to meet Clare in the Allianz Hurling League Quarter Final at 3.45pm. It is knock out stage now and all focus will be towards clearing the Banner hurdle which if successfully achieved would line up a semi-final encounter with the winners of the Kilkenny/Offaly clash. Last year Tipperary also travelled to Ennis in the league and came away with a five point victory with the score line reading Tipperary 2-19 Clare 0-20, the Tipperary goals coming courtesy of Noel McGrath and James Woodlock. John McGrath making his second league outing was awarded Man of the Match scoring five points from play. That was then and this is now as both management and team look to continue a build-up of momentum not only in the league but also looking towards the Munster Championship in a little over seven weeks’ time. Clare will prove testing opposition as winners of Roinn 1B, they will be more than willing to show that their standard hasn’t faded after a year out of the top flight. Best wishes to Team Tipperary on Sunday and to all supporters who we hope will travel in great numbers to cheer on the side in this eagerly awaited fixture. Those heading to Ennis can avail of the usual early bird saving of €5 discount on match ticket if purchased before midnight Saturday night. Juveniles under 16: Free of Charge and all tickets for this match are unreserved. Supporters in the Templemore area are asked to take note of traffic restrictions associated with the inaugural Killea 10 Mile & 5k Road Run will also take place next Sunday, April 3rd. Both races will start and finish in Killea Village (outside Templemore) and follow local routes. A large crowd is expected and supporters travelling to the Allianz League Quarter Final in Ennis are advised that there will be traffic delays on the Templemore-Dunkerrin Road between 12 noon and 2pm to accommodate the run. Patrons are encouraged to use an alternative route via Borrisoleigh or Roscrea. The race organisers apologise for any inconvenience caused and thank supporters for their co-operation. An unfavourable result against Kildare in round 6 of the Allianz Football League Roinn 3 last Saturday March 26th has turned the table on its head from a Tipperary perspective going into the final round against Sligo next Sunday. On a score line of 2-13 to 1-5 it was Tipperary’s heaviest defeat of this year’s league and a result which is completely uncharacteristic for the side that has competed excellently throughout the campaign. Kildare win promotion trail to Division 2 while Limerick are relegated to Division 4. That means one more up and down has still to be decided. If Clare claim at least a draw against Kildare they would gain the second promotion spot, however if they lose, they will most certainly be joined on eight points as Longford, Offaly, Sligo and Tipperary are all on six points. If Westmeath who are on five points are defeated they would be relegated, however if they win they could jump ahead some of the counties currently on six points, so it is way too close to call. Tipperary travel to meet Sligo in Markievicz Park at 2pm, knowing a win is a must to keep promotion hopes alive (depending on results elsewhere) and also to maintain their deserved position in Division 3 at least if promotion eludes them. We send best wishes to the team and management for a successful outcome on Sunday. We wish also safe travelling to the team and supporters on the long trip west over the coming weekend. With action continuing last week and indeed over the weekend in the County Senior Hurling Challenge Cup there was a variety of fixtures for supporters to attend. Last Wednesday night Upperchurch-Drombane had two goals to spare over Drom and Inch in Littleton, while on Good Friday night back in Littleton Moycarkey-Borris putting in a determined performance got their campaign back on track in consigning Silvermines to their second defeat despite a strong early second half rally. Two matches on Sunday then rounded up the action where Knockavilla Donaskeigh Kickhams had a one point win over Carrick Swans in Pairc Ciocaim Dundrum. Meanwhile, in Clonakenny the home side also suffered the same fate in losing to Moneygall by a solitary score also. The County Intermediate Hurling League continued also with Clonoulty-Rossmore recording a four point win over Gortnahoe-Glengoole in Clonoulty on Good Friday evening. On Saturday Cappawhite had a comfortable win over Boherlahan-Dualla while Ballinahinch still had some in reserve in defeating Sean Treacy’s in Shallee. Congratulations on result of the week goes to All-Ireland Champions Abbey CBS, Tipperary Town with their victory over St. Louis Grammar School in the All-Ireland Post Primary Schools Senior Hurling Paddy Buggy B Final, on Easter Monday last, March 28th on a score line Abbey CBS 2-19 St. Louis Grammar School 2-13 AET. Both sides were deadlocked at full time 0-13 to 1-10 forcing the game into extra time. Abbey knew what lay ahead having played extra-time in the Munster semi-final. Goals from Galtee Rovers pair Daire Egan and Shane Power in that extra time helped ensure a third All-Ireland crown for the school amid scenes of wild jubilation. County minor star Tommy Lowry from Arravale Rovers collected the Paddy Buggy Cup while Rian Doody from Cappawhite received the Masita Man of the Match award following his impressive ten point contribution. Well done to all on another proud day for the school. Well done to Sean Lonergan (Moyle Rovers) for having taken charge of the Waterford v London AFL Roinn 4 encounter in Fraher Field, Dungarvan on Sunday last. This year’s Fitzgibbon and Sigerson All Stars were revealed last weekend and we congratulate the Tipperary players on their recognition in these awards. On the Fitzgibbon Cup team, Tipperary were represented by Paul Maher (Moyne-Templetuohy) in goal, the complete half back line consisting of Ronan Maher (Thurles Sarsfields) at right half back, Barry Heffernan (Nenagh Éire Óg) centre back and at left half back John Meagher (Loughmore-Castleiney). Up front John McGrath (Loughmore-Castleiney) at left corner forward completes the Tipperary quintet. On the Sigerson Cup team, Tipperary had one recipient who is Liam Casey (Cahir) and Liam is awarded the number eight position in centre of the field. Congratulations to all our players on their achievements at colleges’ level. The final Tipperary GAA Clubs Draw in the current scheme will be held this Friday April 1st in The Half-Way Lounge, Rathronan with the Moyle Rovers GAA Club. This is a free draw for all those who have completed nine months membership with the same monthly prize fund including two Skoda cars. John Heffernan, Woodroffe, Clonmel will receive his €15k cheque won as first prize in the March draw in Portroe. The closing date for Full Club Membership is this Thursday March 31st and clubs that have still not registered their full members and players are requested to urgently remedy this situation. 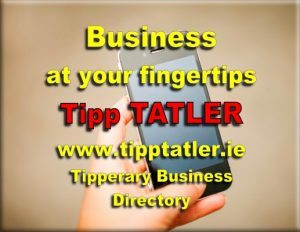 In 2015 Tipperary had over 10,000 full members registered between all our clubs. Failure to register by March 31st could have serious consequences for your club especially where issues arise at AGM time where only full members registered before March 31st can vote or take on officer roles in clubs. Currently there is a low enough number of clubs registered to date for the Players Injury Scheme. Croke Park have warned that claims from clubs will not be entertained and if payment is not received before the March 31st deadline from those who have registered, injuries reported will only be covered after the payment date. In 2016, the GAA plans to celebrate the importance of your club in your community. Lá na gClubanna will take place on Sunday, 8th May, 2016. All counties have been instructed to keep the morning and afternoon fixture free to enable all members to fully participate in this event. This is an opportunity for the GAA to highlight the important role of members, players, supporters’ and families in our Association and for the local community to have fun. It will also provide clubs with an opportunity to engage with potential new members. Every member of the GAA should mark this special day of celebration by participating at events in their Club which is the real driver and engine of the GAA. This June, the Féile na nGael tournament comprising of hurling, camogie and handball will take place in Tipperary and Waterford. Following the inception of Féile na nGael in 1971 when hosted by Tipperary, this tournament has gone from strength to strength with over 6,000 boys and girls under the age of 14 taking part each summer. Preparations are at an advanced stage with a Féile organising committee led by Chairman Donal Shanahan (Tipperary) and Secretary Patricia Walsh (Waterford) working to ensure the weekend is organised professionally and thus ensuring maximum enjoyment for the clubs, mentors, officials, parents and most importantly the children involved. Participating clubs should note that a Club Information Night is scheduled for the Clonmel Park Hotel this Wednesday night March 30th at 8pm where clubs will get further details of what will be involved in addition to being informed of the counties each club will be hosting this June. 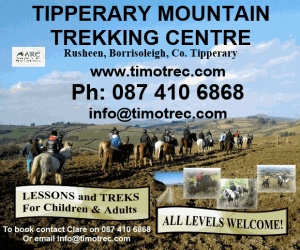 The Tipperary Supporters Club for 2016 is now available and at €30 per person it is unchanged again this year. The Tipperary Supporters Club are delighted to announce that the member’s gift in 2016 will be a trolley coin keyring, 43 mm x 33 mm, featuring The Tipperary Supporters Club Official Logo.